So Im back! We are moved into our house yay! We still have boxes in every room and no flooring downstairs but I am so excited and already feel like the place is our home. 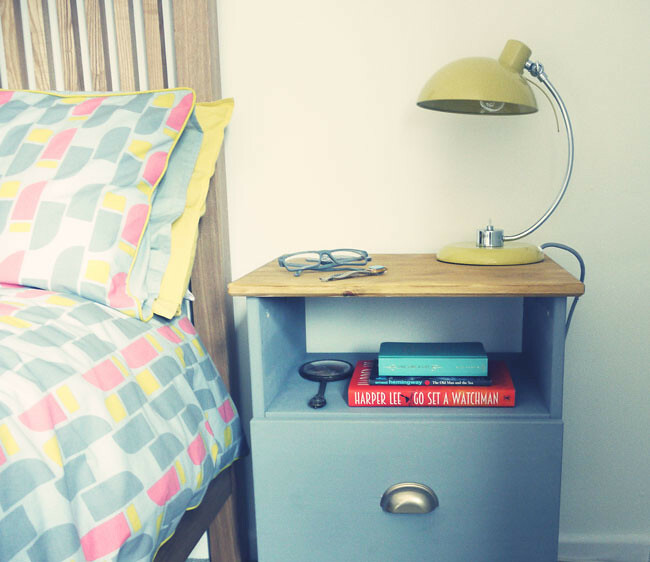 The only room in a semi organised state is the bedroom, and I thought id share the first ikea hack I did which was our bedside tables. 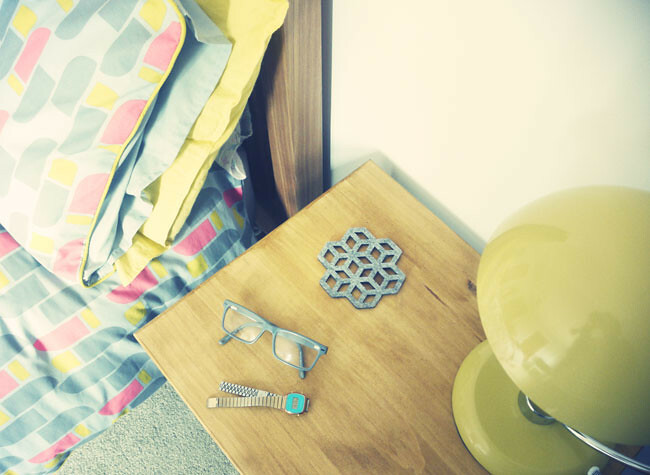 2 x TARVA Bedside tables from Ikea. 2 x FAGLEBODA drawer pull handles. I used the colour: brass. 3 x Paint brushes, 2 for paint, 1 for varnish. 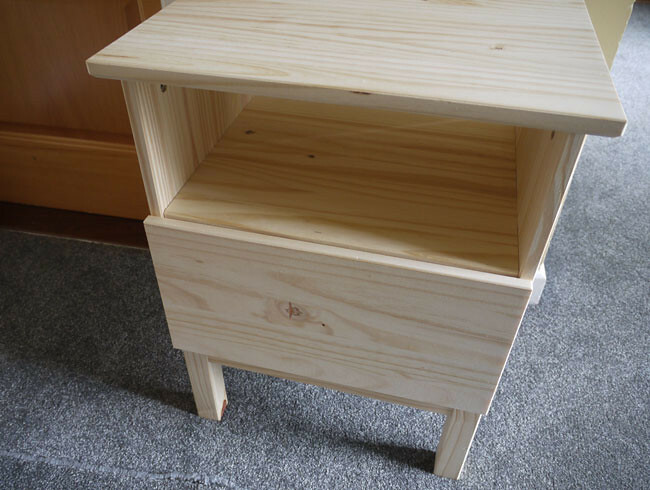 I started with giving the entire bedside tables except the top a coat of the furniture paint, then I waited 24 hrs and gave the whole thing a second coat. Then I gave the top two coats of the varnish, be careful when applying this as it can go streaky if not applied quickly and evenly. Then I got Dave to drill two holes to attach the drawer pull handles. This can be tricky as the holes have to be very close the the edge of the handle, so drill carefully otherwise you could chip the wood or paint. 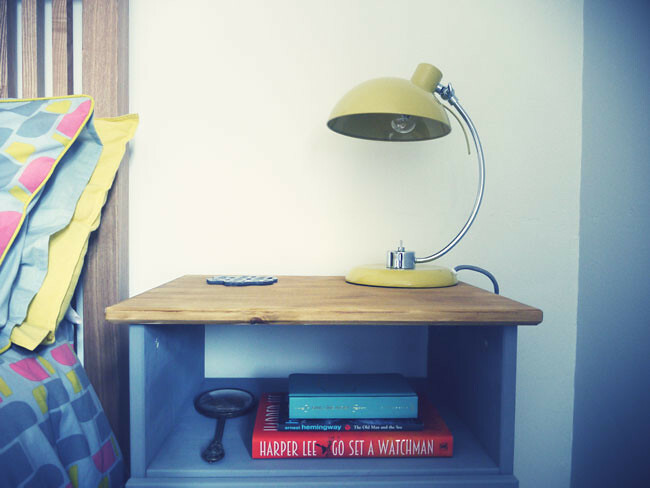 I try to keep my bedside table clear of clutter as it usually gets covered in jewellery and phones at the end of every night! 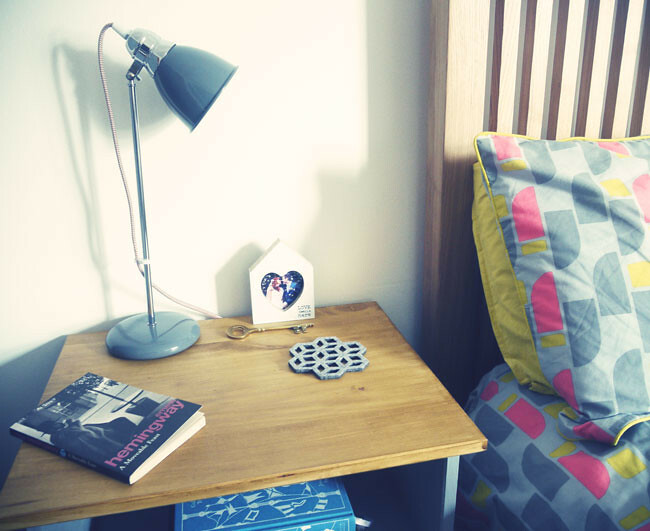 My lamp is from John Lewis and the grey cut out felt coaster is from an Irish designer in Dublin. The shelf below currently holds my current reads: Harper Lee, Earnest Hemmingway- Old man and the sea & my One sentence a day dairy. 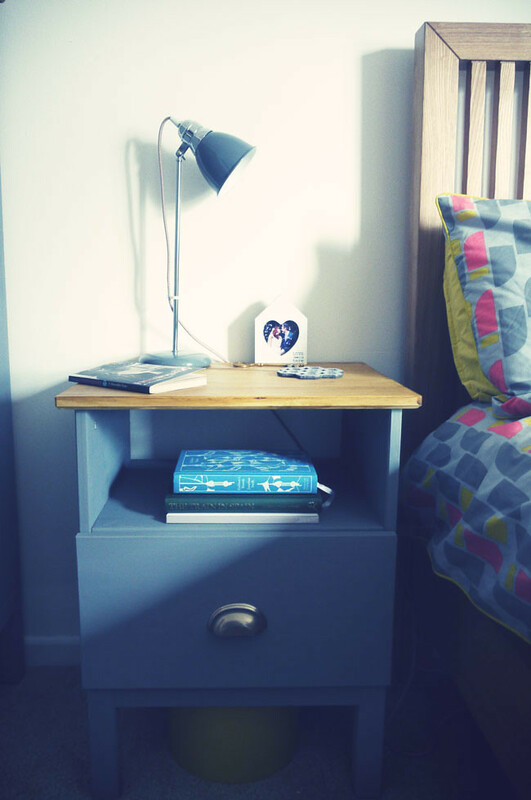 I thought Id also share Dave's bedside table, we toyed with the idea of having different tables so as to not have a matchy-matchy bedroom but opted instead for different lamps to keep them feeling different. Dave's lamp is from B&Q & he has a little wooden photo frame with a photo from our wedding inside & a big gold key he gave me when we moved in together last year. And there you have it! My first Ikea hack/upcycle. How do you guys like it? 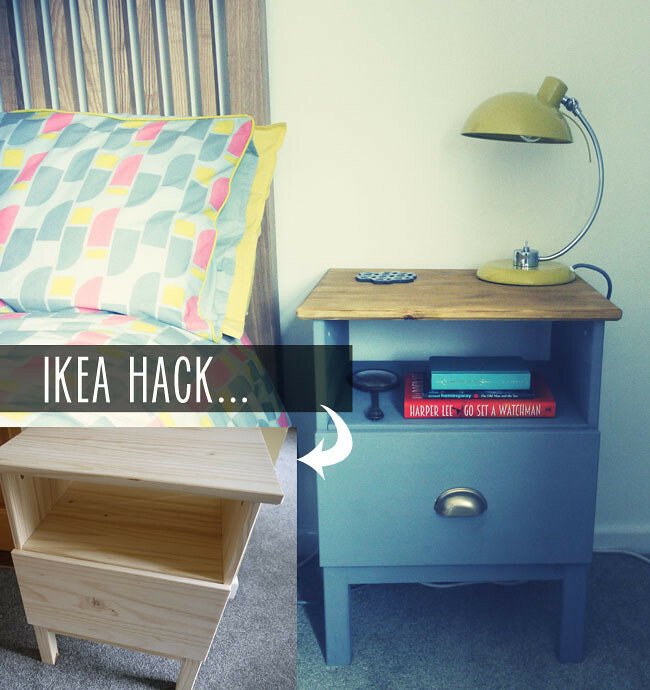 Have you tried any hacks with Ikea furniture? This is ace, I love the colour you chose! They look so much nicer now! I love the colour you chose. I have an old wall unit from ikea which I have painted white and it just looks so much better now and is perfect for odd knick-knacks in my bedroom.